Up to 75,000 pensioners with annual incomes approaching £50,000 could save 20% tax by delaying their final pension payout of the tax year until after 6 April. The higher rate income tax threshold is due to rise from £46,350 to £50,000 on 6 April, which means that those with incomes within this range will be paying 20% rather than a marginal rate of 40% tax from next tax year. Adrian Boulding of Spire Platform Solutions points out that retirees with an income in this range and receiving payments from an income drawdown plan can simply defer their final payment of the tax year until after 5 April to keep themselves within the basic rate bracket this year. 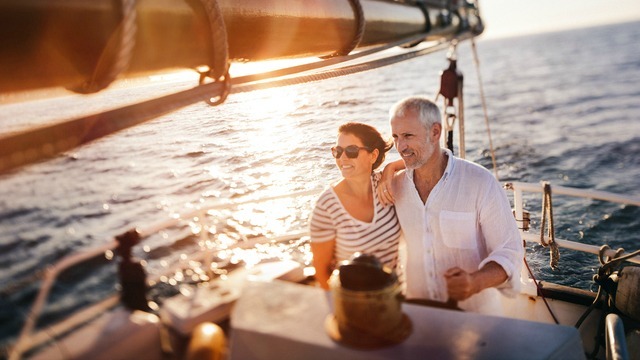 "Since the advent of Pension Freedoms in April 2015, those with income drawdown plans are able to miss monthly payments and catch up with higher payments later," he explains. "A quick phone call to their provider to say, 'Hold the pension!' is all it takes." The potential for retirees using income drawdown to delay these flexible payments in order to manage tax is particularly valuable when they expect to have a smaller income the following tax year – perhaps because they will be reducing or stopping a part-time job. Spire Platform Solutions gives the example of someone with her pension income supplemented by earned income this year, but no earnings expected next year. This year, she has part-time earnings of £25,000, a state pension (including state earnings-related pension scheme Serps income) of £10,000, a final salary pension of £15,000, and a SIPP in income drawdown paying £10,000 a year. That amounts to total gross income in 2018/19 of £60,000. In 2019/20, she expects to have the same pensions, but will stop working and therefore have no more earnings. If she had deferred this year's entire income drawdown of £10,000 to next tax year, total gross income (including two years of income drawdown to catch up on the deferred payments) in 2019/20 would be £45,000 – so nothing would be taxable at 40%. This means the £10,000 of deferred income drawdown payment would be taxed at 20% rather than its current 40%, saving £2,000 of income tax. "This particularly affects the pensioners who still have some earned income," says Boulding. "These are the ones most likely to be higher-rate taxpayers. Looking at the top 20% of pensioners by annual income, over half of these are still doing paid work, averaging over £500 per week. Add on their investment income, state pension entitlement and personal pension, and they will often be surprised to find they are higher-rate taxpayers. "The ability to move the date you receive income from one tax year to the next is one of the hidden benefits of income drawdown compared to occupational pensions or traditional annuities, which just don't offer this flexibility." However, even where there will be no reduction in total income next tax year, deferral for a few weeks could still save several hundred pounds. Spire gives a second example of another retiree with total taxable income of £48,175 this year and the same expected next year. If he holds back a final pension payment of £1,825 at the end of this tax year and takes that payment in the 2019/20 tax year instead, he will reduce his gross income in 2018/19 to £46,350, while gross income in 2019/20 will be £50,000. As a consequence, tax will be paid on the £1,825 deferred at 20% next year instead of at 40% this year, a saving of £365.